What's the most successful original British stage drama of the 21st century? What’s the most successful original British stage drama of the 21st century? I should stress the ‘original’, which means I’m not having War Horse. Or Harry Potter and the Cursed Child. Or any other spin-offs or adaptation of previously existing properties. And I’m certainly not having comedies. So what does that leave? 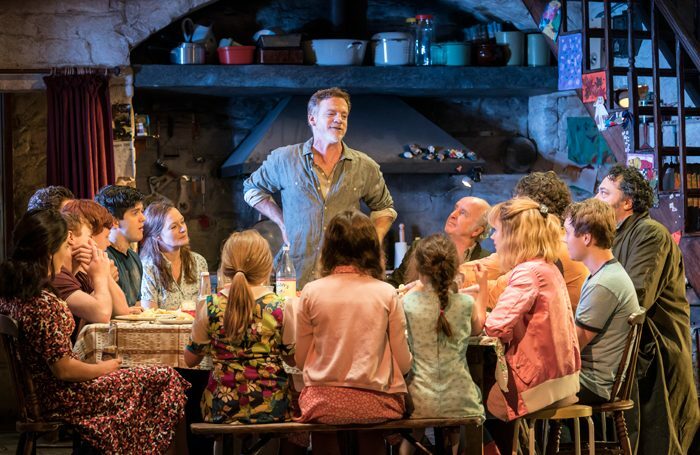 Well now, I’m pretty sure that you could make a case for Jez Butterworth’s The Ferryman, which recently announced a second extension at the Gielgud Theatre and a third cast. Is that a surprise? I think it is. Sam Mendes’ production received ecstatic reviews, and its brief Royal Court run was the fastest sell-out in the theatre’s history. But it doesn’t really feel like the sort of phenomenon that The History Boys or Butterworth’s own Jerusalem were. If you want to get a ticket to The Ferryman, you still can – the extensions aren’t selling out the second they go on sale. Nonetheless, it is currently booking up to its eleventh month in the West End. The History Boys did two four-month stints. Jerusalem did two three-month stints. Okay, The Ferryman is yet to win a single award, transfer to Broadway, tour, or be made into a film. Nonetheless, 11 months is a hell of a lot. And you wouldn’t bet against it doing at least a couple of those things. God knows how many geese and babies they’ll get through. And on an anecdotal level I can tell it’s a hit because never before have so many people I know wanted to talk to me about a new play, because they’ve actually seen it. (The shock of actually discussing a new play with non-theatre people is a reminder of how hysterically ivory towered theatre tends to be). Of course, you can look at other hit plays and say “well, they could have done a year” – but they didn’t. Why not? Well, here’s the big thing: Sonia Friedman Productions planned for The Ferryman to be a hit. Not as in they tweaked it to make it more commercial, but because the West End ‘transfer’ was in place from the get-go. The play’s success caught nobody on the hop and as such the Gielgud Theatre has been constantly available for an extension – a huge, huge factor. In his memoir Balancing Acts, Nicholas Hytner is rueful about the fact that there simply wasn’t a venue free for The History Boys to continue its run. And where Jerusalem was presumably limited by Mark Rylance’s availability, The Ferryman is an ensemble show that appears not to have been unduly affected by the loss of original star Paddy Considine. Let’s not suggest any of this would have been easy. SFP may have planned for it to be a smash, but that didn’t mean it would be so. I frequently plan to win the lottery but it tends not to happen. The Ferryman is a three-and-a-hałf-hour magical realist tragedy set in Northern Ireland at the height of the Troubles. Perhaps that’s no bigger an ask than, say, King Charles III or Enron. But The Ferryman has lasted longer in the West End than either of them. And in part that’s because its producers had faith that it could find a mass audience months before the first preview. That’s the main thing: faith in The Ferryman has begat the success of The Ferryman. This has been a bumper year for drama in the West End. But The Ferryman has exceeded everything else. It is a heartening sign of what happens when a commercial producer takes the punt that there’s a mass audience out there for new writing. More please.